We use our senses for many things. Take away or weaken one, such as hearing, and many things around us begin to change. Unexpectedly, the conversation across the room becomes more difficult to hear. Our favorite song on the radio doesn’t sound quite the same. This can become very frustrating for the person affected. Hearing loss is common, especially among workers who are exposed to hazardous noise where they work. What exactly is “hazardous noise”? Noise is considered hazardous when it reaches 85 decibels (dBA) or more. In other words, when a person needs to raise his/her voice to speak with someone at arm’s length or about 3 feet away, a person is likely being exposed to noise that can potentially damage his/her hearing over time. This exposure to hazardous noise and/or chemicals that can damage hearing may lead to hearing loss linked to the workplace, also known as occupational hearing loss. The risk of developing hearing loss varies by industry. The National Institute for Occupational Safety and Health (NIOSH) recently looked at one particular industry sector in its paper: Prevalence of hearing loss among noise-exposed workers within the Agriculture, Forestry, Fishing, and Hunting sector, 2003-2012. This study looked at the number of workers in this industry sector that had a material hearing impairment, which is hearing loss that interferes with understanding speech. We’ll call it hearing loss in this blog. Activities associated with these tasks, such as unlatching cables used to hold and move logs (92 dBA) and the use of chainsaws (91-110 dBA), represent some of the highest noise exposures to this industry’s workers, and overall average exposures in some occupations have been shown to range from 97-102 dBA. These noise exposures, among others, contribute to the elevated prevalence of hearing loss seen in this industry. Within Forestry and Logging, Forest Nurseries and Gathering of Forest Products had the highest prevalence of hearing loss (36%). This represents the highest prevalence within Agriculture, Forestry, Fishing, and Hunting. 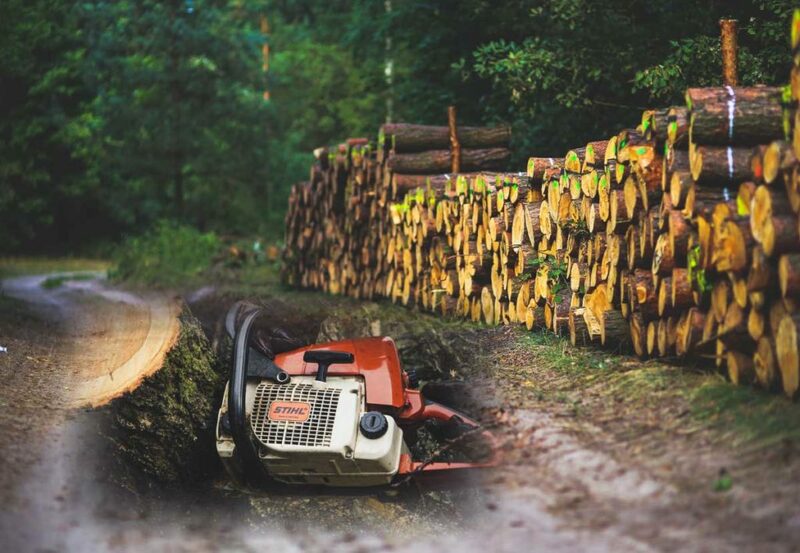 There are also activities within Forestry and Logging that can expose workers to vibration, which may also contribute to the risk of hearing loss through suspected changes to the blood-flow within the inner ear. Vibration exposure can be reduced through routine maintenance of equipment and the use of anti-vibration chainsaws and gloves. Visit our website for more information on occupational hearing loss surveillance and links to resources to protect worker hearing. If you work in this industry, please share your experiences with reducing noise and improving worker safety and health.